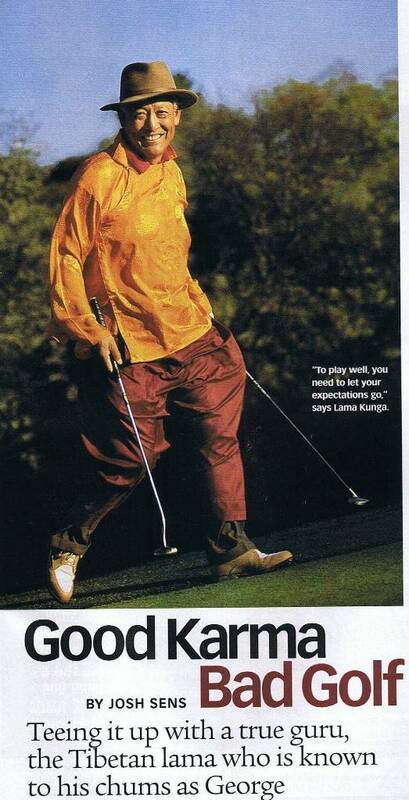 Lama Kunga Rinpoche enjoys the game of golf, which, he says, involves both exercise and concentration. When Rinpoche’s golf activity was discovered by a local sports writer, his story was profiled in the November 2002 issue of Golf Digest. The magazine article motivated a local filmmaker to create a short film on the uniqueness of a Tibetan Buddhist Lama engaged in golf. The film won the award for Best Short Documentary at the 2003 Espy sports awards. The prize-winning film may be viewed below.